I love coaching athletes for Triathlon! I have been coaching athletes for over 40 years. My focus the last 15 years has been in triathlon; sprint to Ironman distances. Thru Reinhart Racing I coach local athletes via Training Peaks and weekly group workouts. Reinhart Racing also provides individualized training for clients outside of the Austin area or local athletes with inflexible work schedules. Whether it is your first triathlon or your 100th, I can help you achieve your goals! Jennifer began her triathlon career way back in 1985, as a continuation of her lifelong career as a swimmer. She began competitive swimming at the age of 4 and swam competitively through her college years at Purdue University. From her teenage years through early 20’s, Jen coached numerous youth swim teams. Jen holds a degree in Chemical Engineering from Purdue. 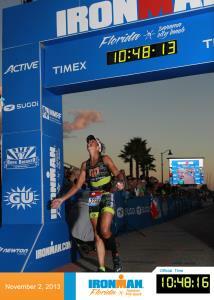 Jen has competed at all distances of triathlon from Sprint to Ironman, frequently placing in the top of her age group. She has participated in over two hundred triathlons, including 21 Ironman races, seven times at the World Championships in Hawaii! Her favorite distance is the Half Iron distance. Success. Coach Jennifer Reinhart has been notified of your message.